Are you interested in joining a team where you can make a global impact daily? At Deloitte Energy, Resources and Industrials (ER&I;) our team is not only expanding their own knowledge and skills, we are changing the world one Client at a time. Deloitte Digital’s vision is simple. We empower our clients to re-imagine how they connect and engage with their customers. Our goal is to be the best in world at driving digital transformation using the Salesforce platform. By redefining your customer’s digital journey, you can look forward to stronger brand loyalty, a better a customer relationship, and a sales process so personal it feels effortless. The Power & Utilities sector is undergoing significant regulatory changes while shifts in outage management are causing industry leaders to rethink their governance models. Customer expectations for digital connectivity and ease of access are driving business process redesign around the customer experience. Connectivity to the grid is key, and companies are adopting new strategies for asset maintenance and more efficient methods of energy generation and distribution. 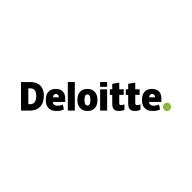 Deloitte provides 88% of the Fortune 500 P&U; companies with Consulting services now, but moving forward, we have launched a growth strategy to at least double our revenue over the next 3-5 years. By working with Deloitte’s Offering Portfolios to update our mix of services to our clients (digital technologies, SAP HANA, Cloud, Grid and Operations technologies), we are committed to helping our clients work with newly empowered customers, hyper-connected digital ecosystems, and expansion in data. At Deloitte Digital, our professional development plan focuses on helping people at every level of their career to identify and use their strengths to do their best work every day. From entry-level employees to senior leaders, we believe there’s always room to learn. We offer opportunities to help sharpen skills, work with industry-leading talent on a daily basis, in addition to hands-on experience in the global, fast-changing business world. From on-the-job learning experiences to formal development programs at Deloitte University, our professionals have a variety of opportunities to continue to grow throughout their career, while delivering products and services to Fortune 500 clients. Explore Deloitte University, The Leadership Center. Who says work can’t be fun? At Deloitte Digital, the worlds of business, creative, and technology intersect to transform the way we work, play, and communicate. We can’t quite put our finger on it, but that combo creates something kind of magical. In studios or on the road, we believe in our people, and we understand that quality of life directly impacts quality of work. We pride ourselves on our flexible work environment and distinctive culture. Learn more about life at Deloitte Digital.